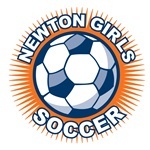 Newton Girls Soccer is the largest girls soccer club in New England. We emphasize fun, skills development, teamwork and sportsmanship -- all at a level that fits a player's interest and ability. Join a team. Get extra training. Sign up for a camp. Sign up for a program through our online registration system. Find your team’s schedule with dates, times and fields. Check out maps and directions to Newton fields and more.